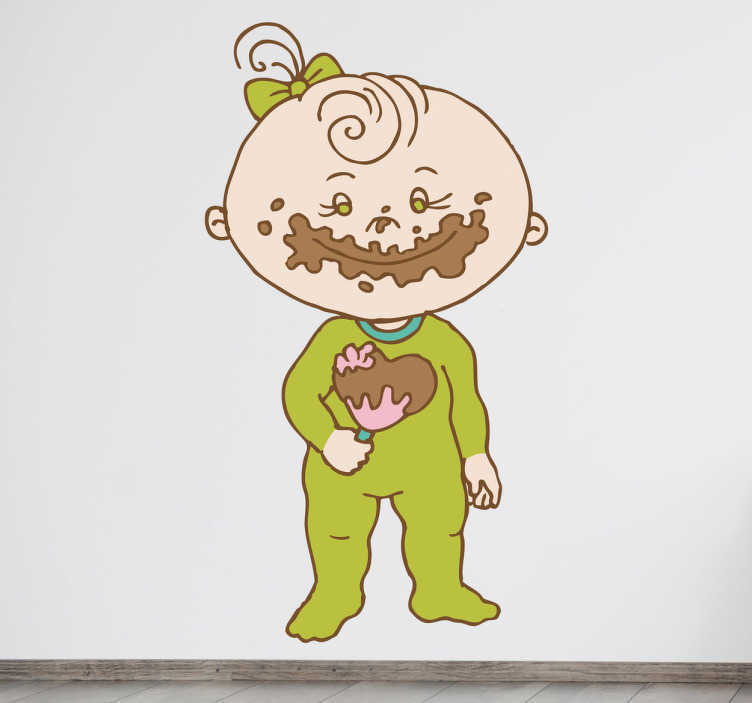 Kids Wall Stickers - Illustration of an adorable little girl enjoying her heart shaped chocolate lollipop. Ideal for children. Available in various sizes. Made from high quality vinyl. Easy to apply. Decorate walls, windows, furniture, appliances and more.